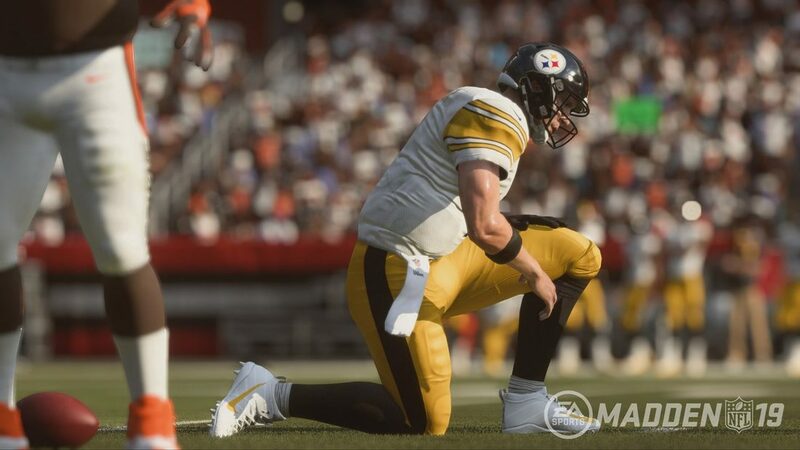 This game marks the first time since Madden NFL 08, that the game is featured on a PC verison. 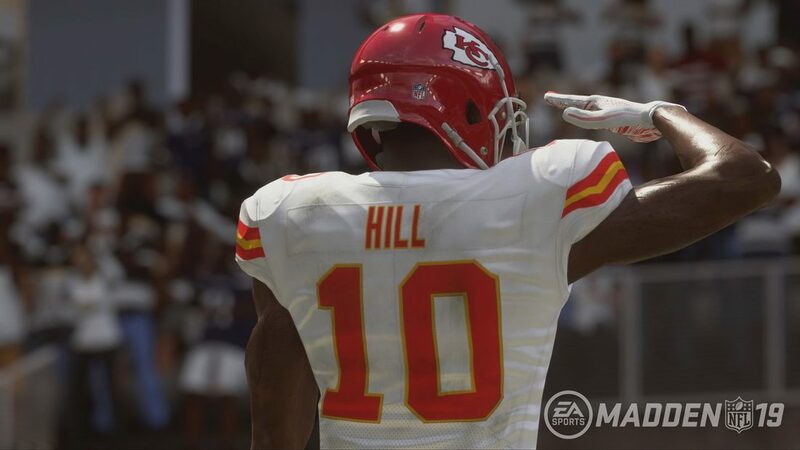 Terrell Owens was announced to be on the cover of the "Hall of Fame" edition of the game. 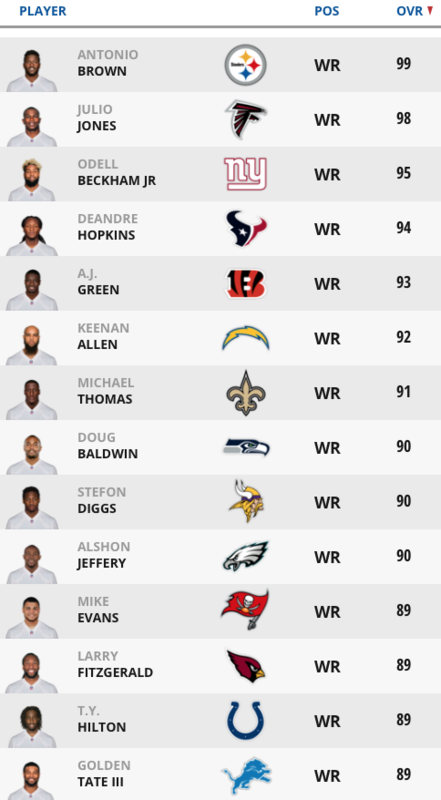 Terrell Owens is featured in a Dallas Cowboys uniform, despite the fact that he was drafted by and played eight seasons with the San Francisco 49ers, compared to just three with the Cowboys. 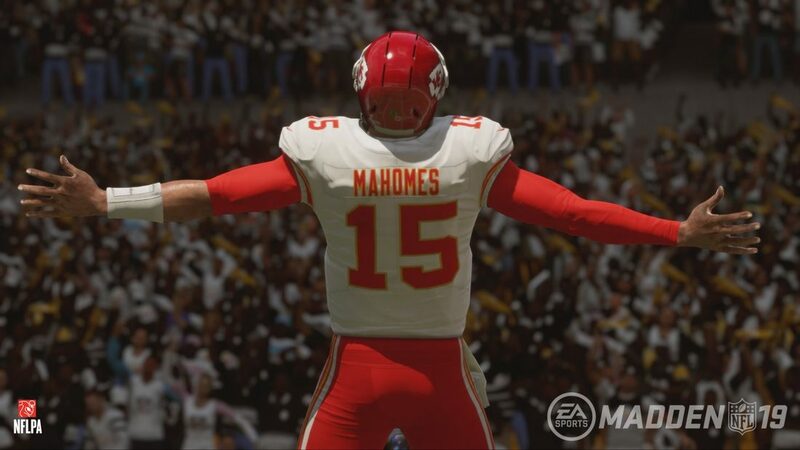 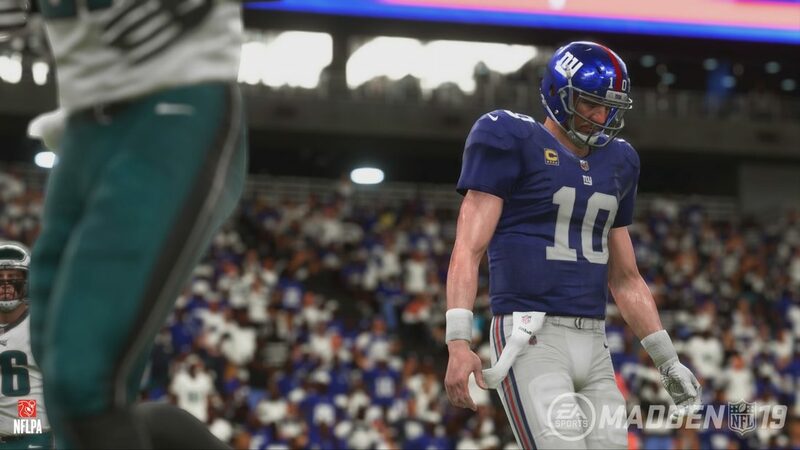 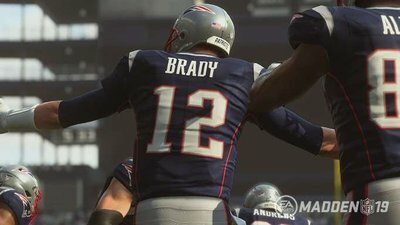 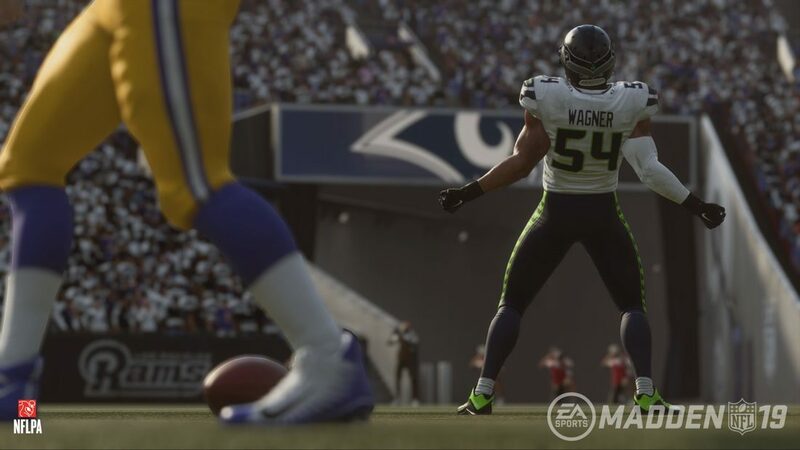 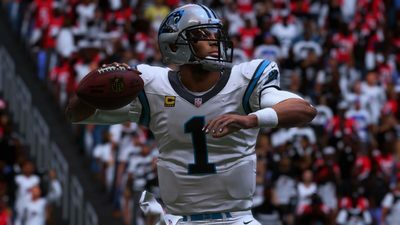 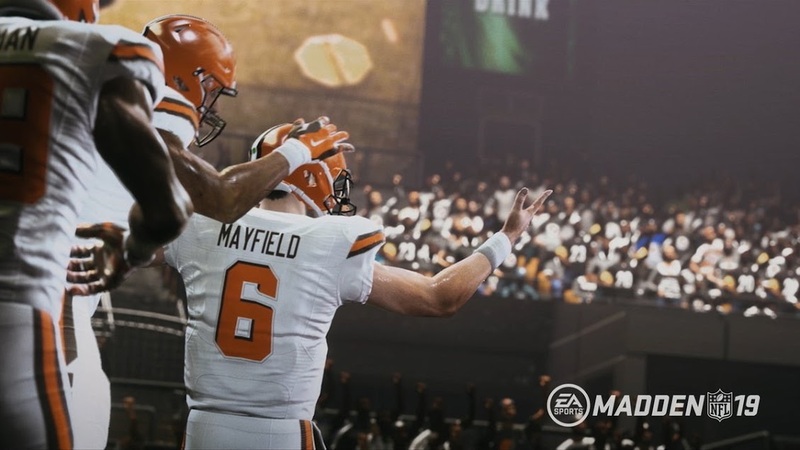 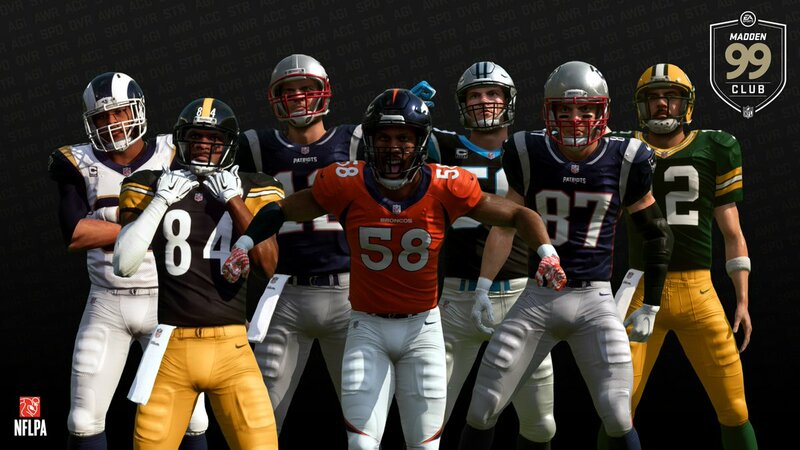 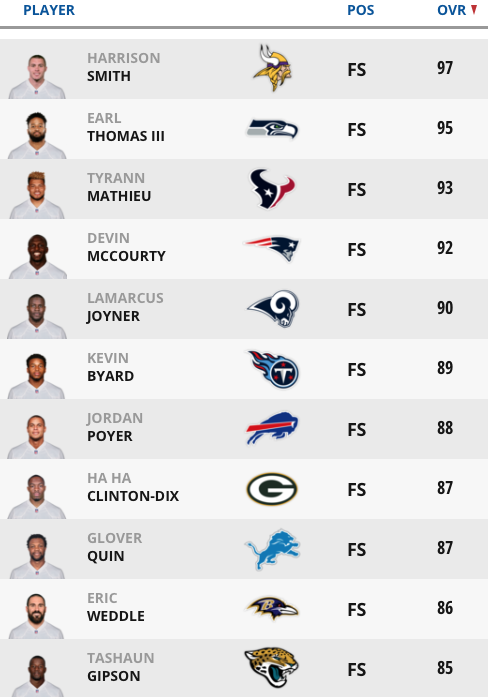 This year's game features a Madden Elites roster made up of the best current players in the NFL. 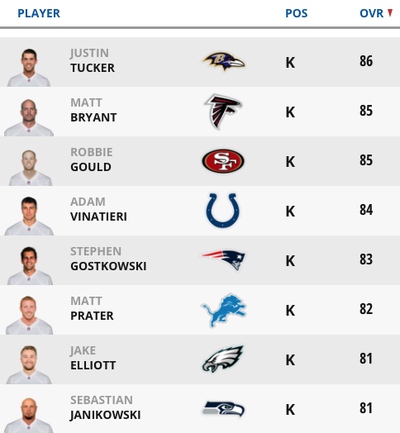 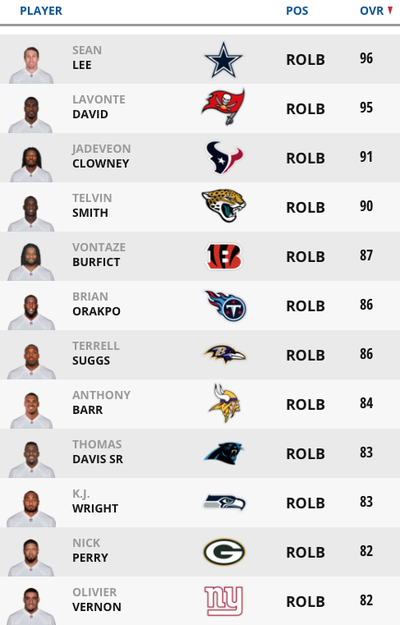 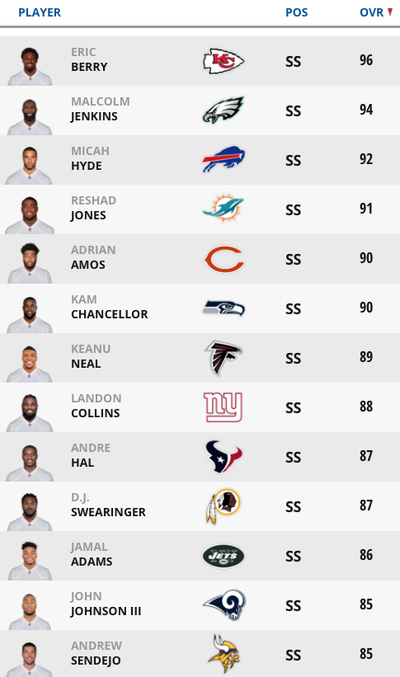 The 62 man roster contains the top rated players at each individual position in the game. 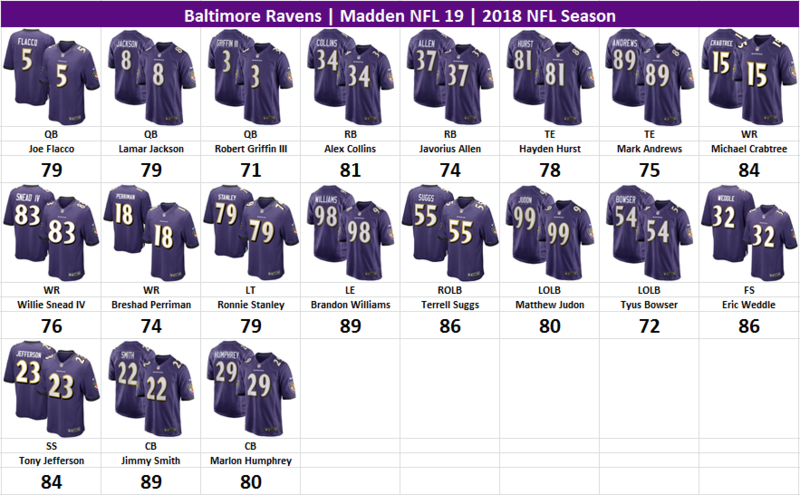 Notably the player's overall ratings on this roster are the same as they are on their respective teams from their original launch player ratings. 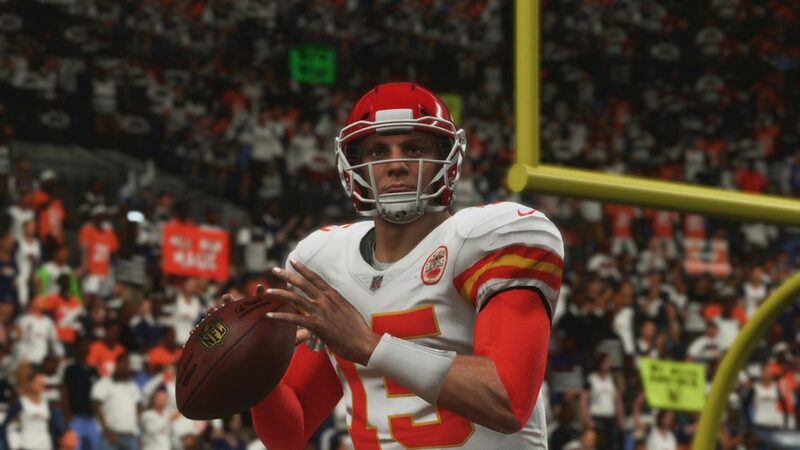 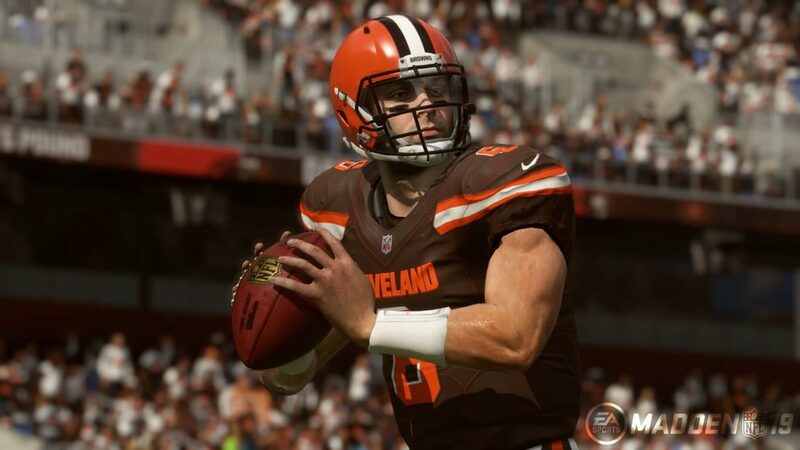 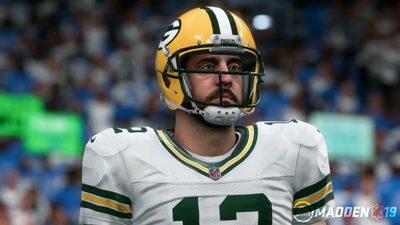 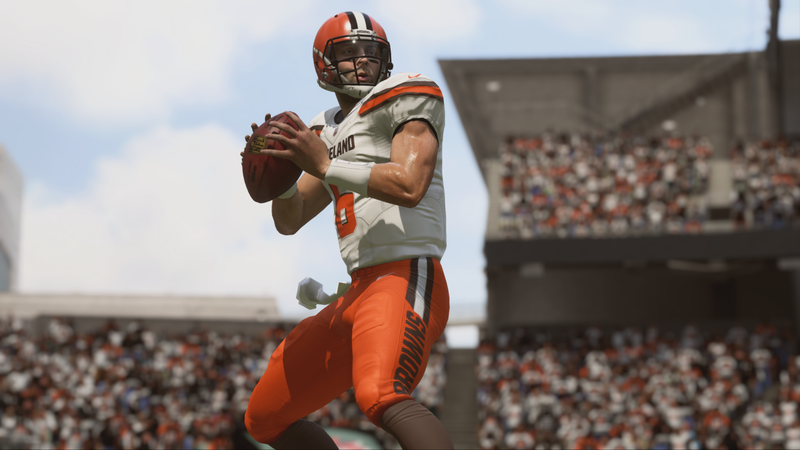 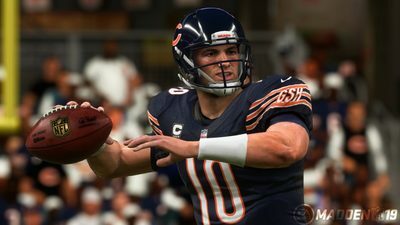 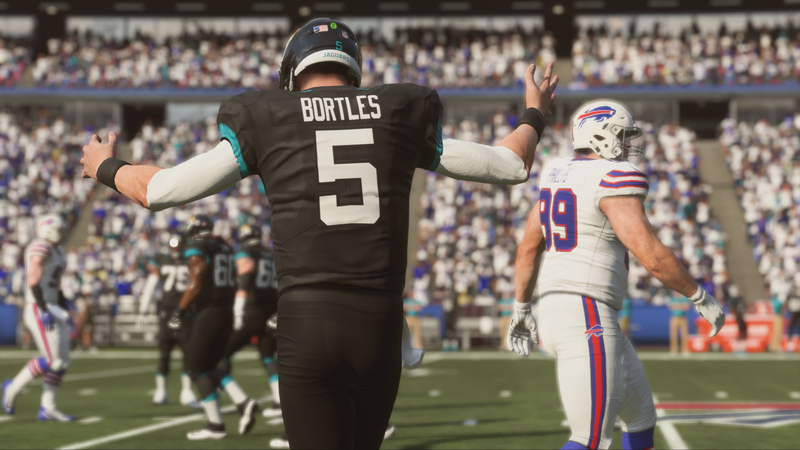 Free Agent QB Jay Cutler was not in the game since he did not currently have a deal with the NFLPA to be a part of the game. 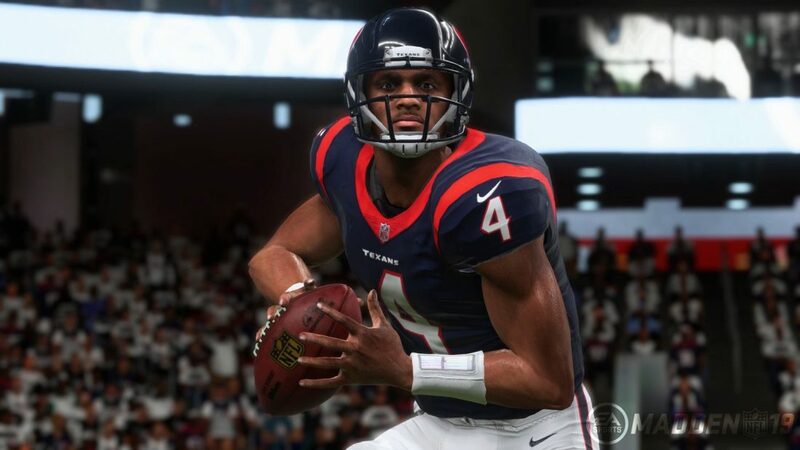 Free Agent QB Colin Kaepernick was not apart of the game as EA Sports did not have his rights. 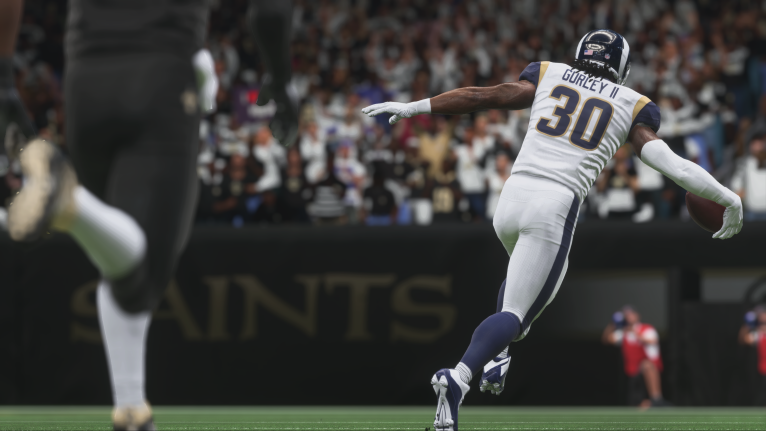 Washington Redskins rookie RB Derrius Guice was injured in the preseason and missed the entire season. The Redskins signed Free Agent RB Adrian Peterson (78 OVR) and he was was added in the Launch player ratings update. Pittsburgh Steelers star RB Le'Veon Bell sat out the entire 2018 NFL season due to contract disputes. RB James Conner remained the starter for the Pittsburgh Steelers. 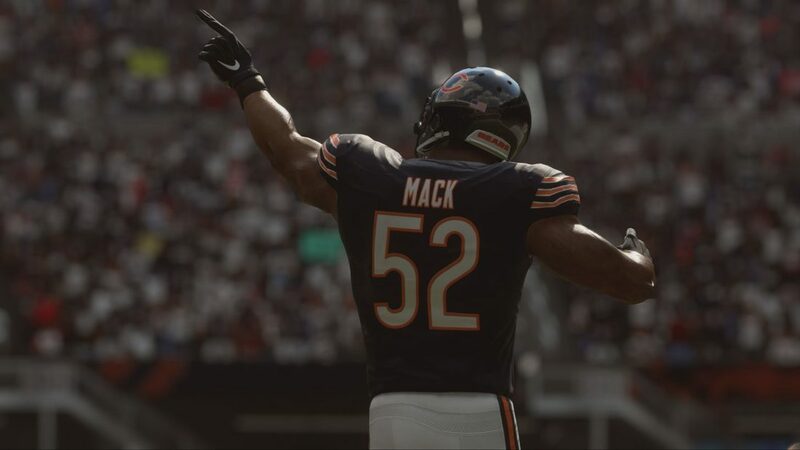 Oakland Raiders LE Khalil Mack was traded to the Chicago Bears before the start of the NFL season. Cleveland Browns WR Josh Gordon was traded to the New England Patriots before week 3. 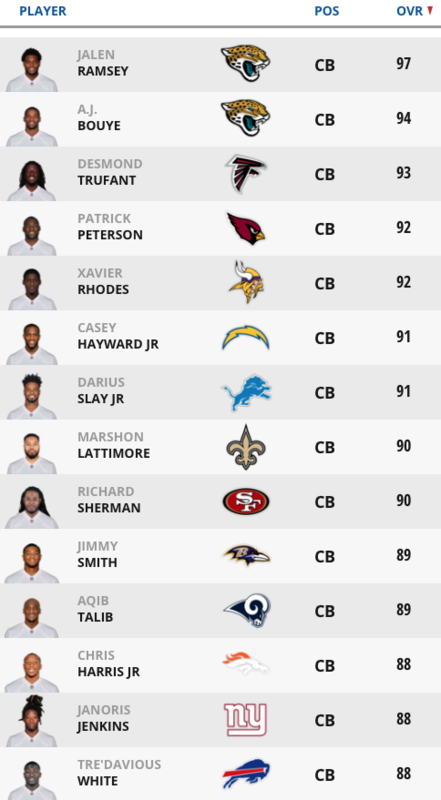 New York Giants CB Eli Apple was traded to the New Orleans Saints before Week 7. 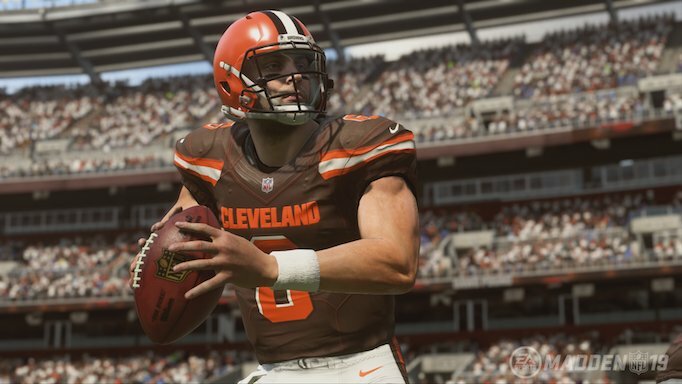 Cleveland Browns RB Carlos Hyde was traded to the Jacksonville Jaguars before Week 7. Oakland Raiders WR Amari Cooper was traded to the Dallas Cowboys before week 7. New York Giants DT Damon Harrison was traded to the Detroit Lions before week 7. 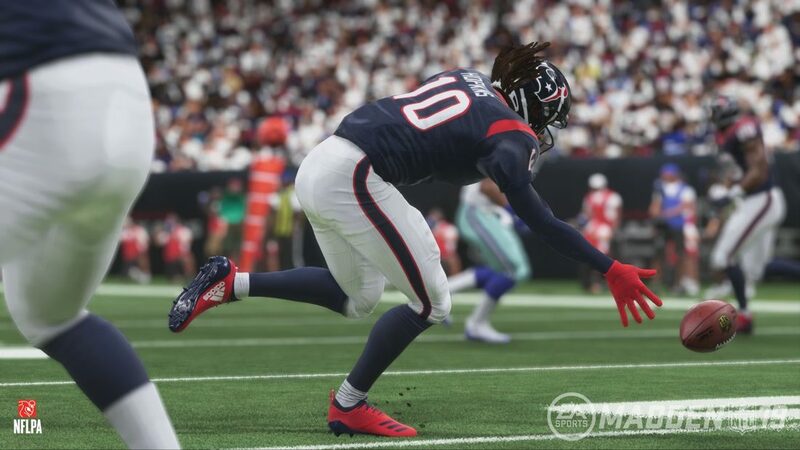 Denver Broncos WR Demaryius Thomas was traded to the Houston Texans before week 9. 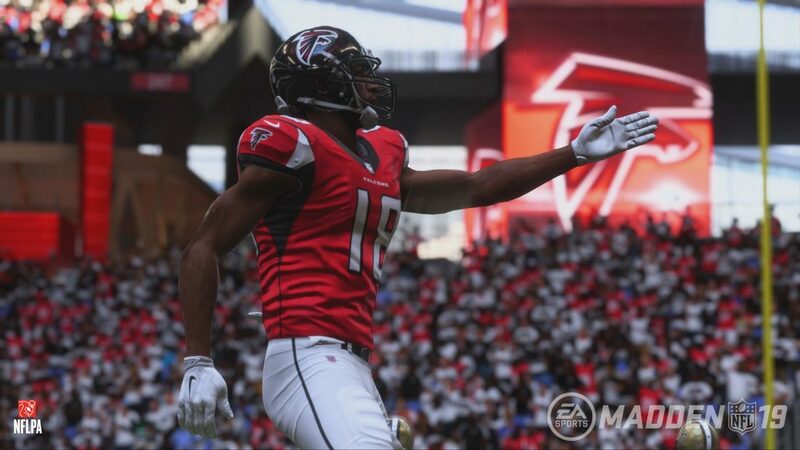 Detroit Lions WR Golden Tate III was traded to the Philadelphia Eagles before week 9. Green Bay Packers RB Ty Montgomery was traded to the Baltimore Ravens before week 9. Green Bay Packers FS Ha Ha Clinton-Dix was traded to the Washington Redskins before week 9. 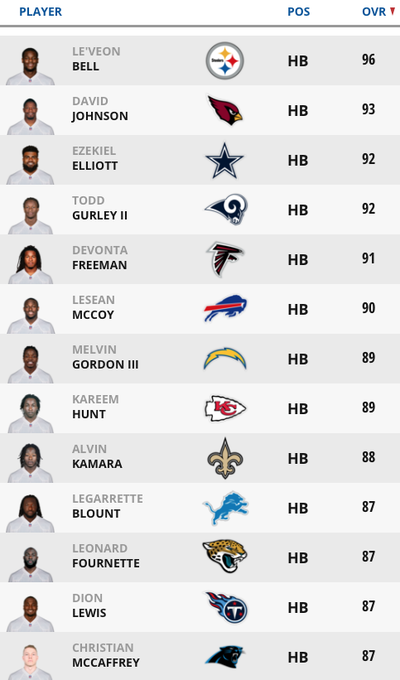 The New Orleans Saints signed Free Agent WR Dez Bryant (82 OVR) and was added in the Mid-Season roster update. Dez Bryant suffered a season ending injury in practice with the Saints and was not able to play a game for the team. 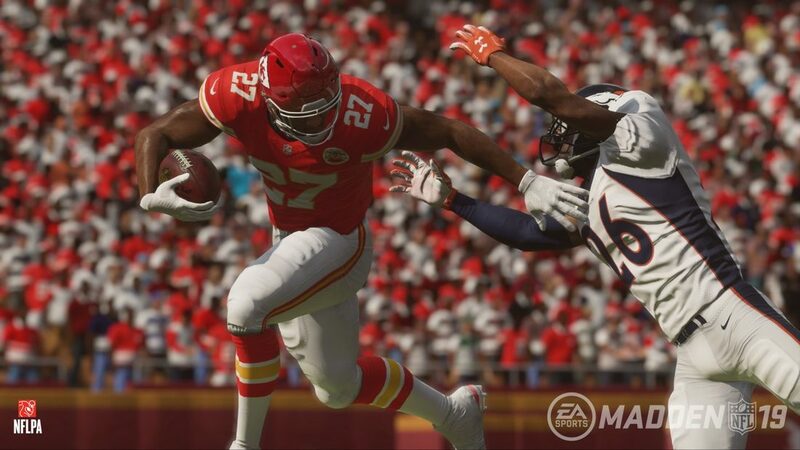 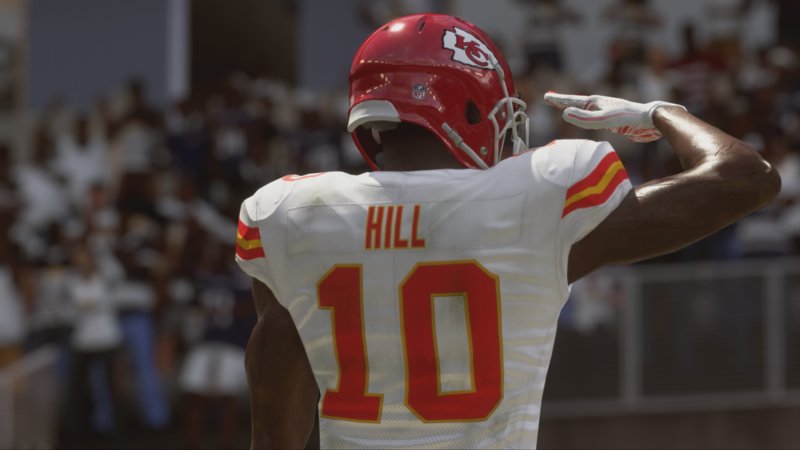 Kansas City Chiefs star RB Kareem Hunt was removed in the roster update before Week 12 due to being released from the team for off the field issues. 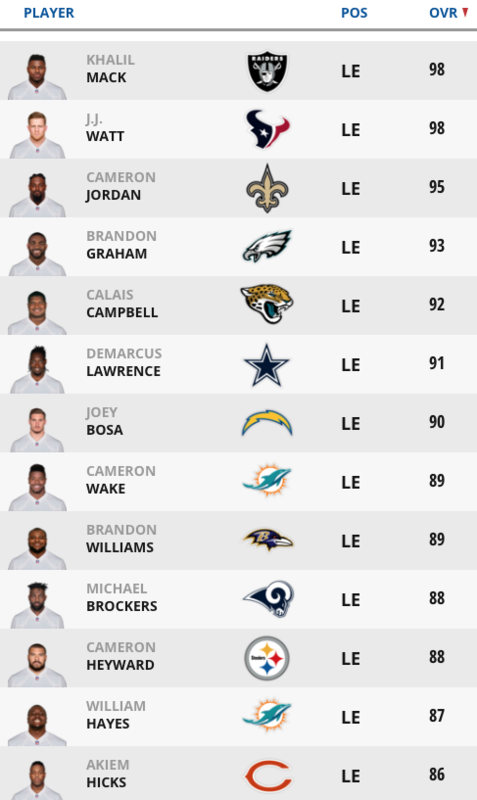 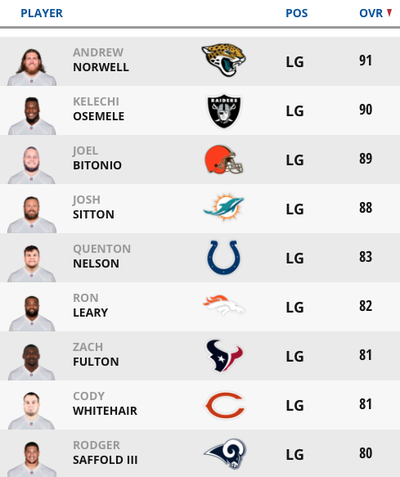 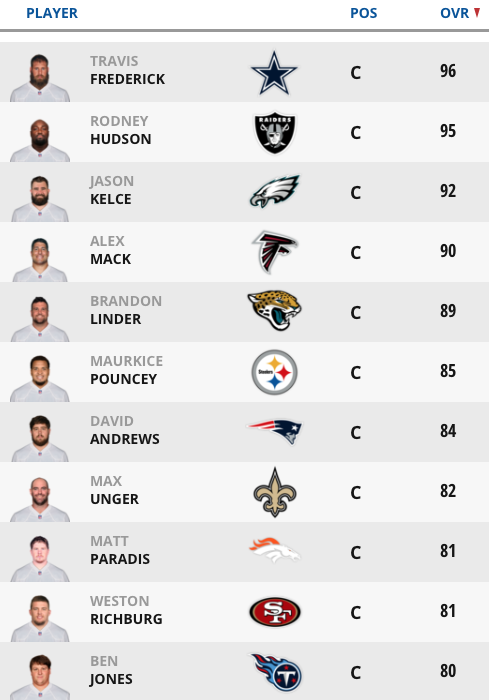 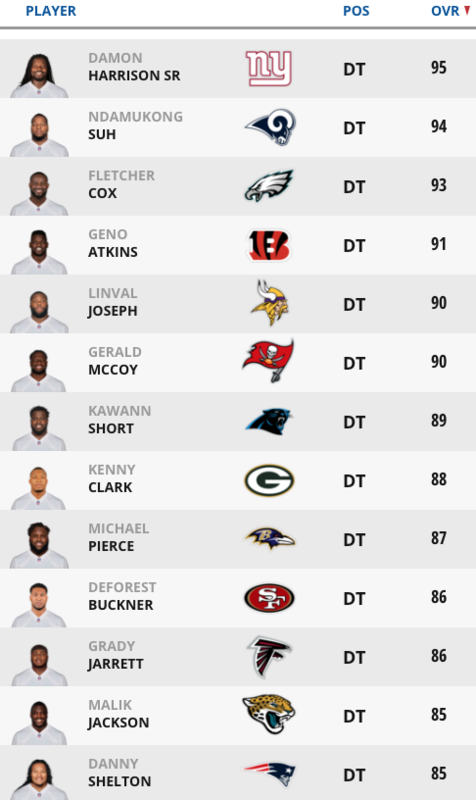 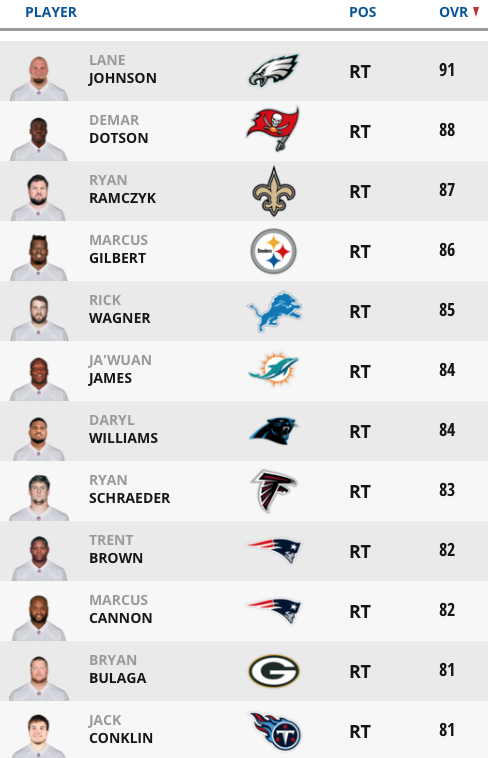 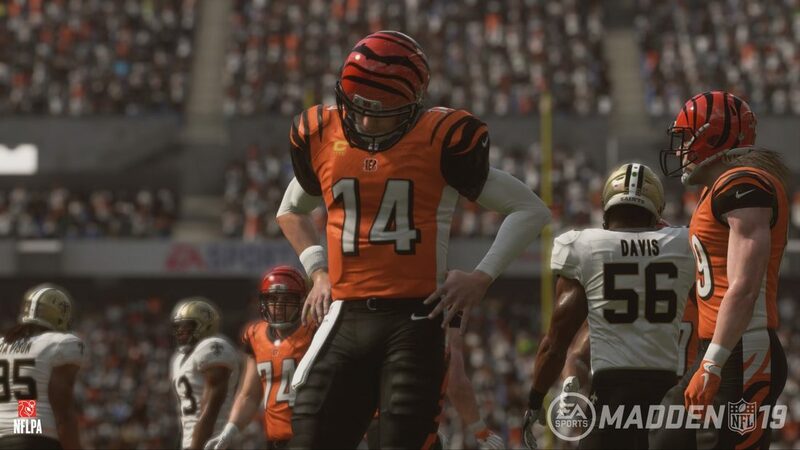 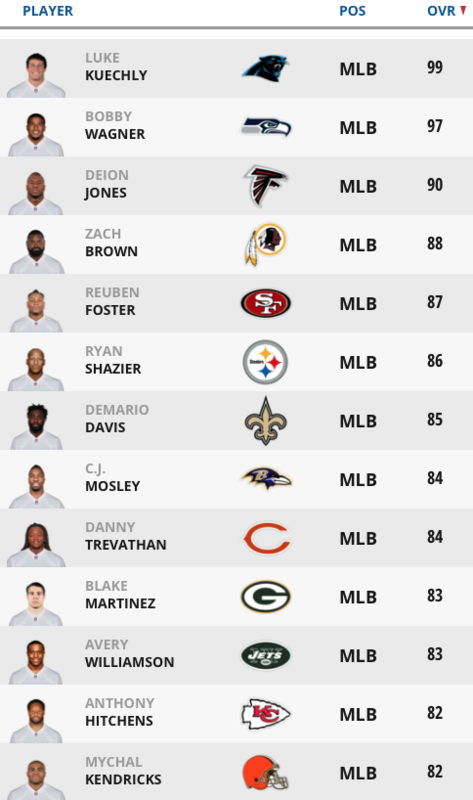 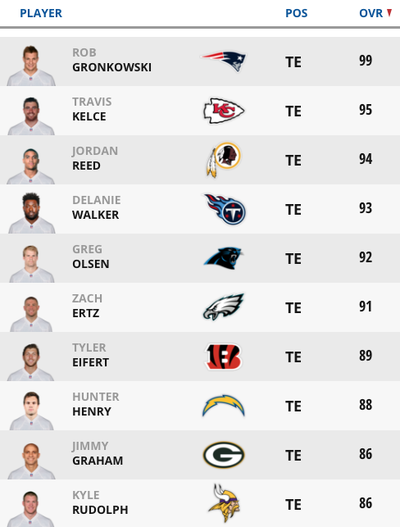 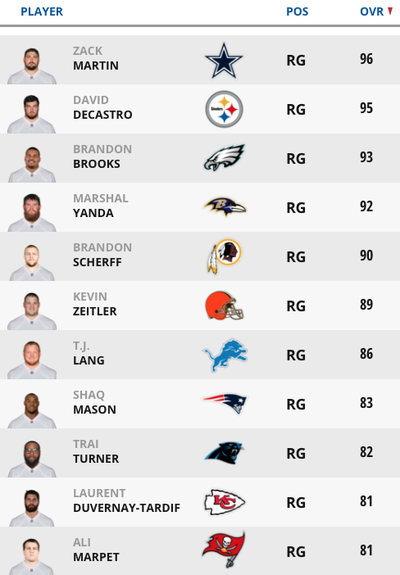 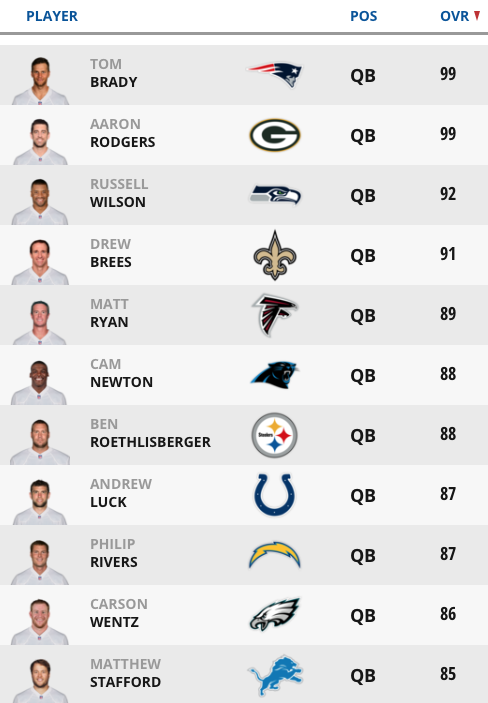 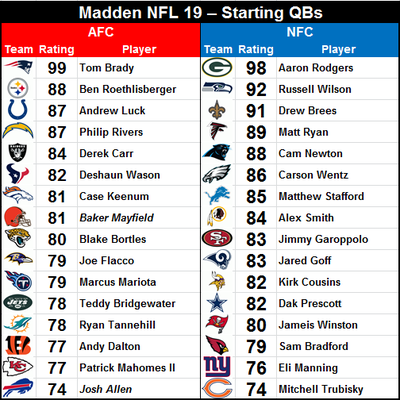 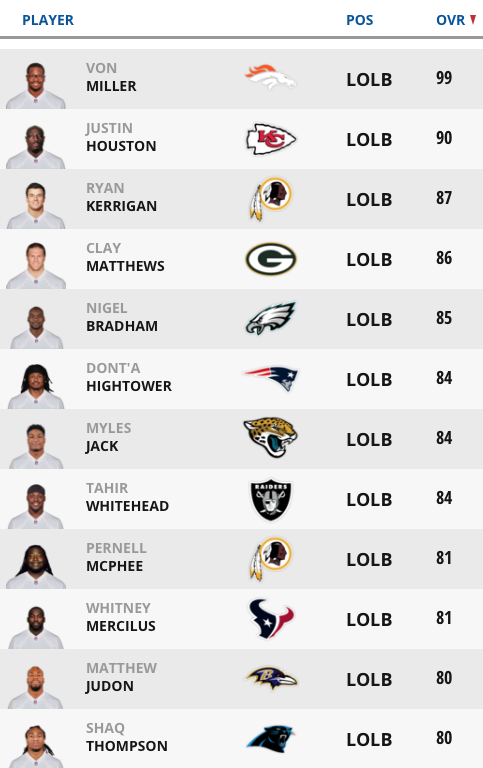 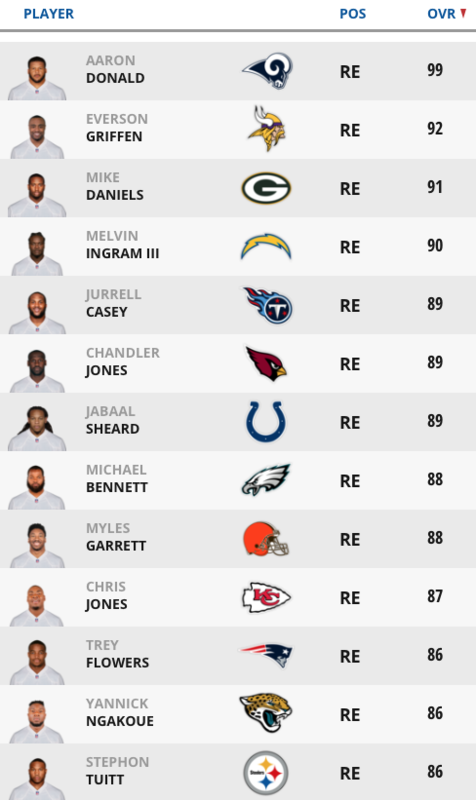 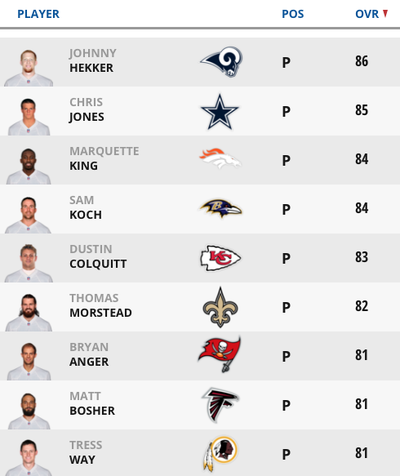 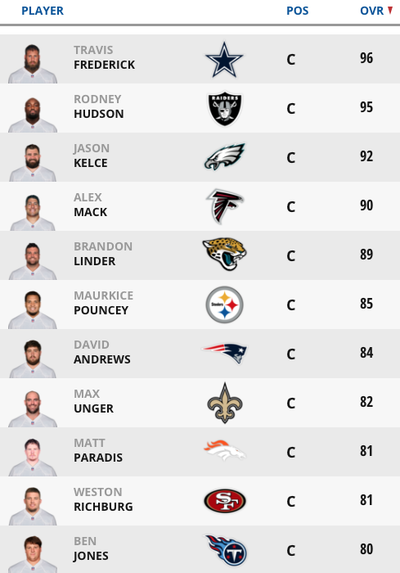 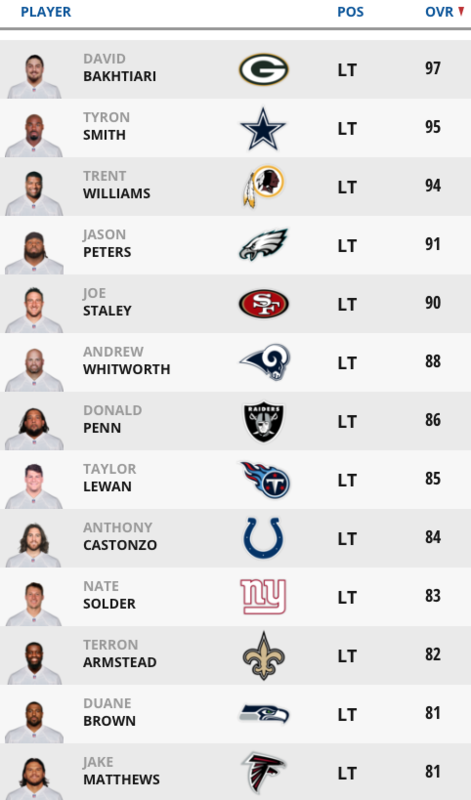 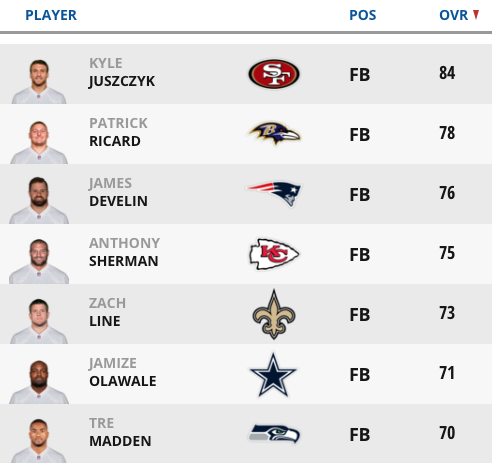 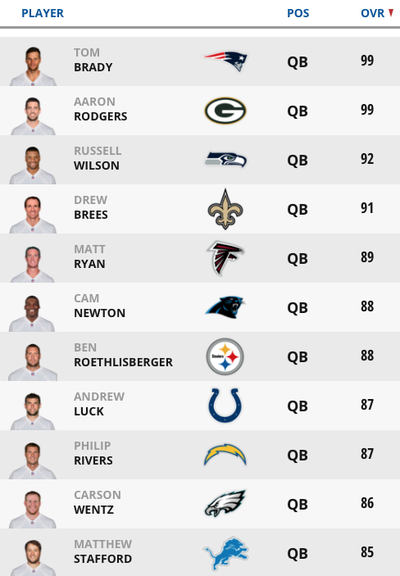 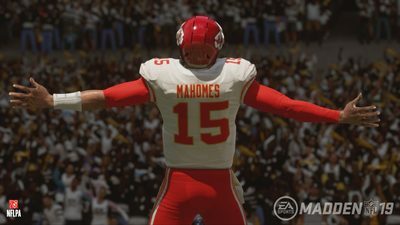 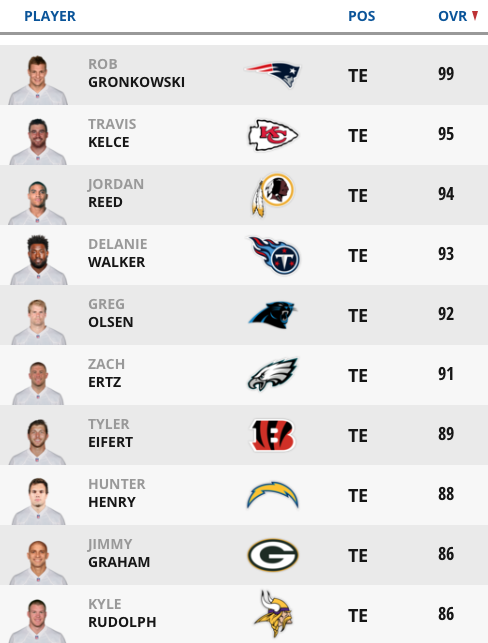 The AFC and NFC (not in game) Pro Bowl rosters are based on the roster update overall ratings from Week 14 when the NFL announced the original 2019 Pro Bowl rosters.